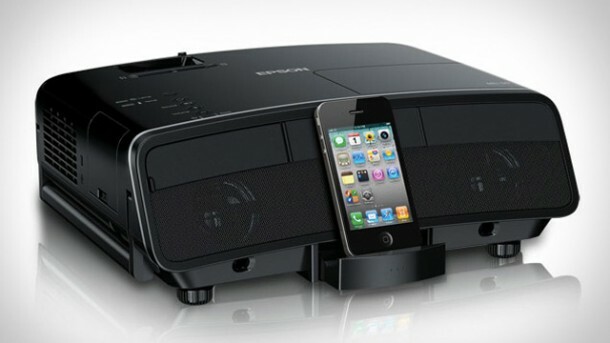 Epson Megaplex MG-850HD is a home-theater projectors are equipped with dock for iDevice (iPhone, iPod, and iPad). For image quality, Epson rely 3LCD system and level 2800 lumens of brightness that can display images up to 100 inches with excellent quality. 720p HD resolution has also been supported natively, means there is no increase in resolution that done from software. A pair of 10-watt speakers in the rear are also available. 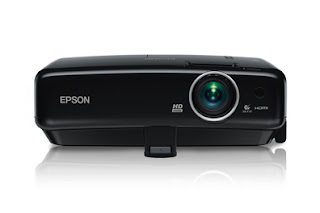 Of course, Epson Megaplex MG-850HD projector not only play content from iDevice. You'll also find a variety of inputs and outputs, including HDMI, composite and component. In fact, you can also directly connect to a PC or Mac using USB when trying to use it for presentation. If lazy to carry a laptop, you can simply plug the USB drive to make a presentation. Supported a relatively compact design, the Epson Megaplex MG-850HD is quite convenient for travel.